Goldie Roman Bronze™ is bronze of a beautiful golden bronze color, resembling the colors used in times of the Roman Empire. Goldie Roman Bronze™ is bronze of a beautiful golden bronze color, resembling the colors used in times of the Roman Empire. The clay is a bit more grainy, thanks to larger than usual bronze particles. After firing and polishing with a 3M wheel or sandpaper, you can notice tiny bronze speckles that reflect the light and create an interesting sparkling effect. Goldie Roman Bronze™ is an environmentally friendly product. It contains approximately 89% copper and 11% tin. The binders are organic and non toxic. The container that the powder comes in is deliberately larger than needed so it can be reused afterwards. Please do your bit for the environment and keep the container for future use (non food use only). 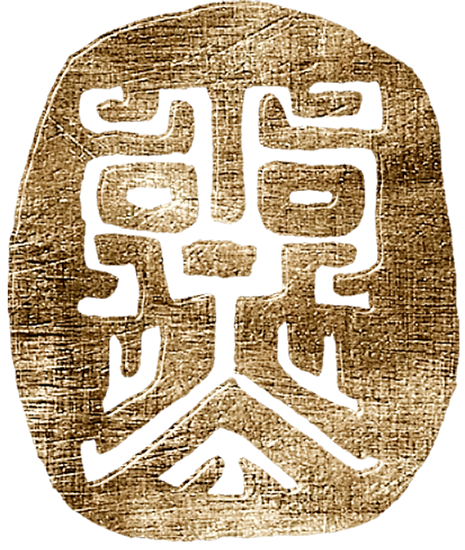 Goldie Roman Bronze™ shrinks by about 10%-12% on firing, depending on the shape and the size of the piece. Dried clay can be ground up to a powder and reconstituted. Goldie Roman Bronze™ is simple and economical to use. ● To join elements in Goldie Roman Bronze™ clay mix a little powder with water to make a paste. 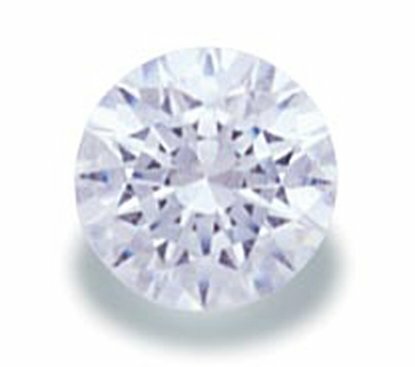 Elements can also be joined with the water only method in the same way as silver clay. ● Remember to always clean your tools well between using different types of metal clay to avoid cross contamination. 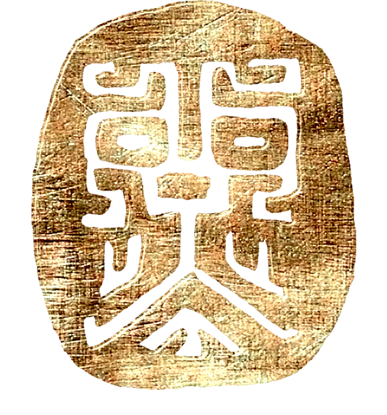 The above tip does not apply to Goldie Metal™ line products, because they can be mixed with Mokume Gane or other techniques. See FAQ for detailed description. ● Lay the pieces in a stainless steel firing container on a layer of activated coconut shell carbon with a minimum depth 1cm (1/2”) under the pieces. Make sure the pieces are at least 1cm (1/2”) apart. Place the open container into a cold kiln and fire at full ramp to 350°C (670°F) and hold for 30 minutes. ● Full ramp to 845°C (1560°F) and hold for 1h30min. This period of time , can be reduced even to an hour in the case of small elements, we encourage you to experiment. Do not breathe in the powder or ingest Goldie Roman Bronze™. Always use the appropriate safety equipment when working with a hot kiln and fire in a well ventilated area. 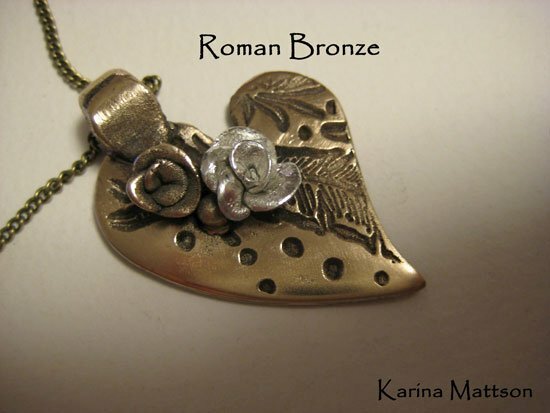 Goldie Roman Bronze™ is non toxic and does not contain any harmful chemicals. 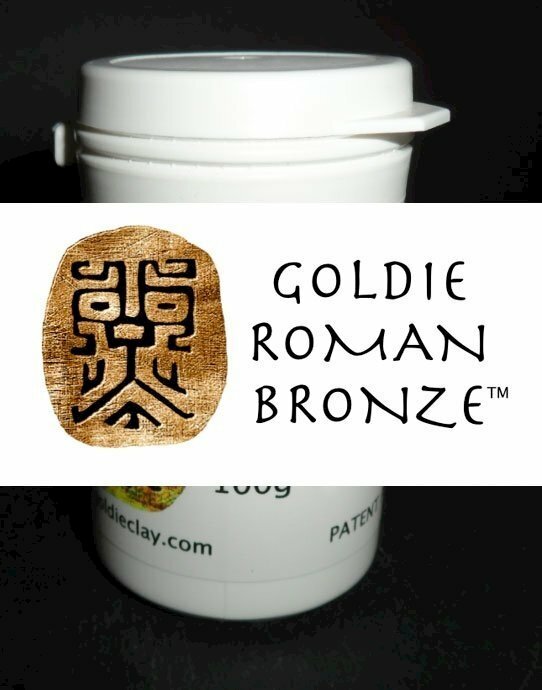 There have been no reports of any allergic reaction to Goldie Roman Bronze™, however people with allergies should be aware of the possibility of a reaction and use with care.